Learn about the concept of Protrusions in the Split Bottom Mount for building Frontstyle Speed Combos. Protrusions: Vol. 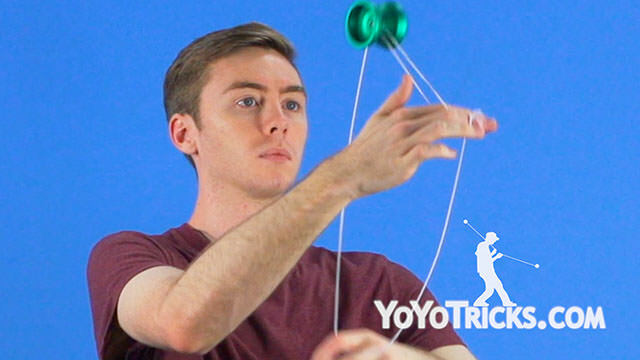 6 Frontstyle Speed Combo Series Yoyo TrickThis is the sixth video in the Frontstyle Speed Combo Tutorial Series where I will be doing deeper into the concept of Protrusions. Now, a protrusion is when you are using the chopsticks mount from your frontstyle speed combo in conjunction with the five core concepts to create new unique transitions, combos, and mounts. What makes these special is that it can be used to replace more simple elements to make more impressive and dynamic combos. Now, in our boing video, we went over a basic protrusion that uses boings and passes to transition between split bottom mount. You can take this a step further with the classic protrusion. 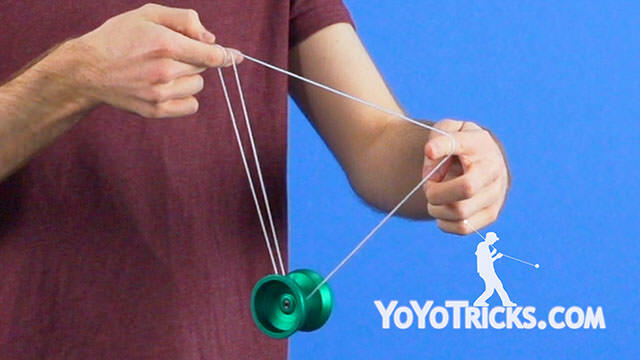 As you can see, I am doing what is similar to a double over under boing where I am moving the yoyo in a Z formation through the chopsticks and pulling it out and you will notice that my thumb is up and my hand is stationary the entire time. Unlike the basic one where I am switching back and forth. But you can take this and you can do this same Z formation with your thumb down and you can even try taking the two concepts together and creating a new unique protrusion combo. Protrusions can also be used with the rest of the core concepts, including rolls. Now they can be used with a variety of rolls, but we are going to take a look at the roll sequence we went over in the Second video of this series. Use protrusions to make it a little bit more impressive. 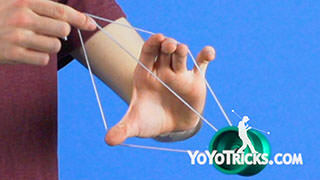 So, you can take the yoyo and pass it over our hand and then roll the yoyo over our thumb. We can take our throwhand and bring it around the yoyo. 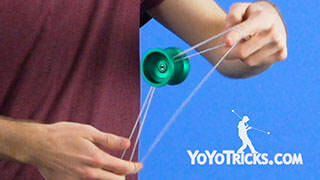 Then, use our thumb to underpass the yoyo and land back in split bottom mount. You will see I still get the wraps just like I would with the normal roll combo. We could also look at the Third video, where we used hits and using our finger to underpass back into a split bottom mount, we can substitute that for the protrusion to land into a new mount. Use this for a new unique transition in or our of split bottom mount and into new and unique mounts. We can also look at our fourth video, where we used a new technique to pop with out non throwhand. 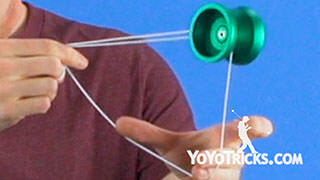 We can use this to underpass the yoyo with our thumb, landing into a protrusion mount. You can either pop out of this, or you can use it to roll out into split bottom mount. Use it in new unique ways of utilizing protrusions with all the five core concepts that we discussed. Once you get comfortable using the basics of protrusion and combining with the five core concepts, then we are going to move on to a more advanced technique where you use a protrusion in both hands. Now, As you can imagine, there is a countless number of ways you can use this technique. But we are going to be looking at a very basic integration of it that is based off just a basic passing protrusion. Now to get started you are going to want to be in a split bottom mount and you are going to use your throwhand thumb to open up the loop that is around your index finger and create a second protrusion. So you are going to start by taking the yoyo and placing it over your non throwhand thumb and to a basic protrusion. Then you are going to take your throwhand and point your index finger down. 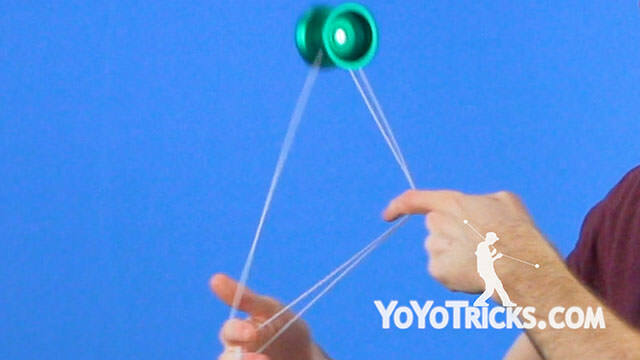 Set the yoyo on the string that is wrapped around closest to you for your thumb and index finger on your throwhand. Then you are going to take your non throwhand thumb and bring it down and behind the thumb of your throwhand. 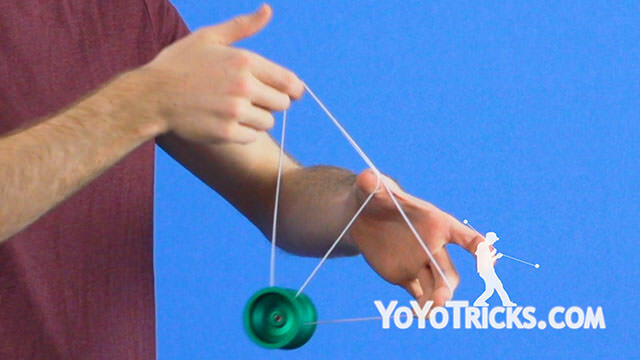 Take your throwhand index finger and place it down to underpass the yoyo. Then you will notice from here that you are in the end of the basic protrusion pass. So you are going to point your thumb down, pull the yoyo through and you are back in a split bottom mount. Now as you can imagine, just like the basic protrusion, this double handed protrusion technique can be combined with any of the five core concepts to create even more visually impressive frontstyle tricks. Now once you feel comfortable with this video and have mastered all the other techniques we covered in this series, you have all of the tools you need to create the Ultimate Frontstyle Speed Combo. I am so conflicted… Aha! 16A tutorials coming soon!